SuperHouse Automation – Page 3 – Superpowers for you and your house! UPDATE: I’ve been asked by several people how they can get in touch with factories so they can go on tours. Please DON’T DO THIS unless you are serious about doing business with that company. Factories are not amusement parks, and the staff who work in them are busy doing their jobs. If you want to manufacture a product and you seriously want to do business with a factory, then it’s easy to arrange a tour. But don’t do it just because you want to have a look! That wastes their time. ITEAD, makers of the super-popular Sonoff home automation devices, very generously allowed me to visit their head office, their factory, and their warehouse so that I could see how the Sonoff is made. Come with me on a quick trip to China to learn a little about the amazing city of Shenzhen, see its enormous electronics markets, and go inside the Sonoff factory to watch them progress from a bare PCB to a finished product. He’ll be following up with more videos about what we saw on the trip, and my own video about our tour of ITEAD and visit to the Sonoff factory will be up soon too. I’ve heard from a few people that they’ve tried making purchases from my new online store, but haven’t been able to complete checkout. A couple of people have reported that they couldn’t checkout, then tried again later and it worked – even though I hadn’t changed anything. My theory is that the problem is with the Australia Post shipping calculation plugin that I’m using with WooCommerce. When you get to the part of the checkout where you enter your address, it uses the size and weight of your order to look up the shipping cost with Australia Post before you can complete the checkout. For some people this doesn’t seem to work, so it just sits there and goes nowhere. Obviously this is really frustrating and I’d like to make sure it’s fixed, so if you have any problems with the online store please email me at jon@superhouse.tv. Having more information about exactly when the problem shows up would be a big help. I’ve checked that all the products have weights and dimensions specified, but perhaps it has problems with some countries or specific destinations. I finally, FINALLY, got around to putting the parts for my home automation light switches up on the new SuperHouse online store. I thought it would be easy: just put up four products, with 1, 2, 3, or 4 buttons. But then I realised that Australian wall plates don’t suit many people, so I have to make them available as kits to fit into different types of wall plates. Then I realised that people may want different colour buttons, so I have to separate the breakouts from the buttons. For all the details see the light switch page. 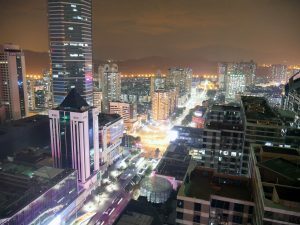 I’ve now arrived in Shenzhen, China, which is the electronics capital of the world. I’m busy recording video and taking photos so that I can show everyone what it’s like here in the most high-tech city in the world. Click the image for a larger version. It’s worth it! The octagonal building you can see to the left that disappears above the top of the photo is SEG Plaza, the heart and soul of the electronics industry here. Every other commercial building you can see in that photo (and going out many blocks in every direction) is directly related to electronics manufacturing. There are entire buildings full of nothing but LED vendors. Buildings for case manufacturers. Buildings for cell phone parts. Buildings for LCD panels, both bare (OEM) and retail ready, and every stage in between. If you’re interested in electronics and you haven’t heard of Shenzhen or the Huaqiangbei markets before, the next few videos that I upload will be eye-opening. In the last episode I showed you how to make an Arduino based, rack-mount home automation light switch controller. This time I’m showing you how to make the switches themselves. More online documentation will follow soon: I’m about to jump on a plane to China so I’m starting this upload before I leave, and I’ll have to do the rest later! I’m heading off to Shenzhen, China, on Friday November 10th and returning on the 18th. During that time I’ll have someone looking after shipping, but it will probably only be processed every few days. 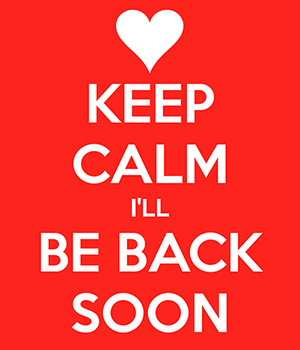 Any orders placed today will be shipped before I leave, but after that there may be some delays until I return. Hopefully I’ll come back with plenty of video of one of the most amazing cities in the world.